Absolutely!!! This Darjeeling based three piece blues outfit has made quite a name for itself, owing to their strong musical skills and on-stage charisma. 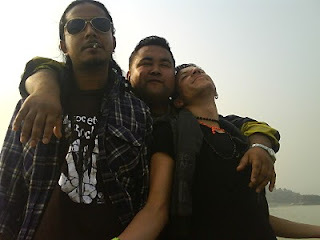 Cannabis comprises of Ashish on Guitars and vocals, Pronab on bass and Tsheten on drums. Have you ever tested waters in any other genres? Tell us a little about your band name.